Craig Drake has now done several licensed pieces of art for Lucasfilm including the key art for Star Wars Celebration Anaheim, but his first works were a series of five women of Star Wars which also included Aayla Secura “The General”, Aurra Sing “The Hunter”, Leia Organa “The Princess”, and Ann and Tan “The Twins”. 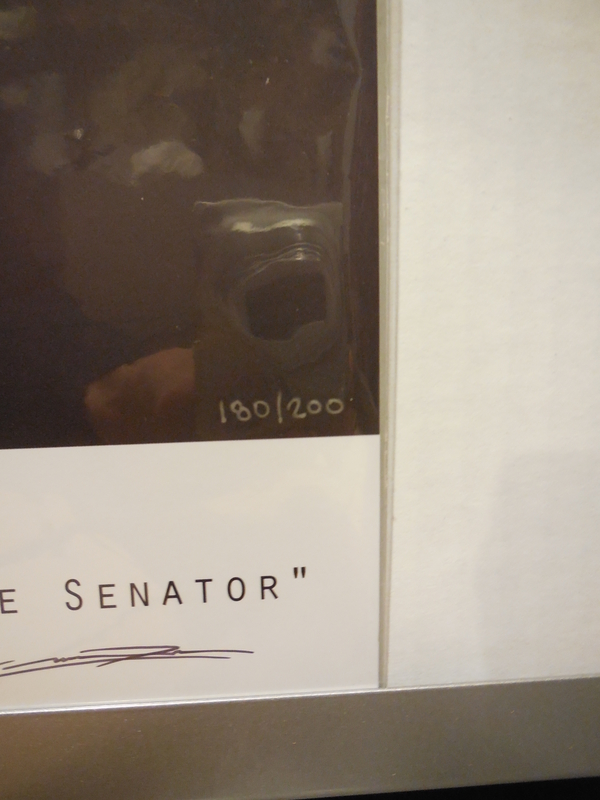 I believe I only own “The Senator” and “The General”. Those five are among several used in a 2013 calendar. Both this print and the calendar were exclusive to StarWarsShop.com. 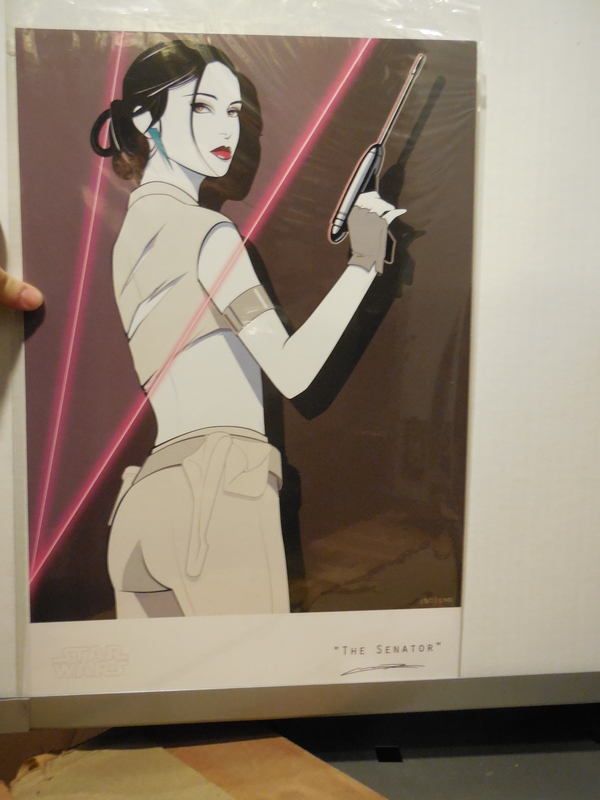 I bought this print from StarWarsShop.com on December 2, 2009. Star Wars Celebration II was held in May 2002 at the Indiana Convention Center in Indianapolis. Matt Busch created the key art used on the official program. 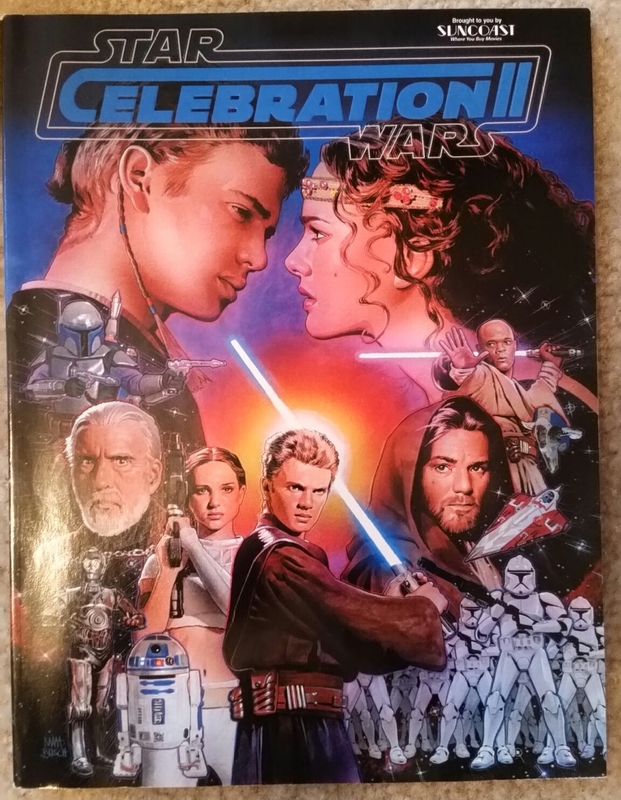 I purchased the program at the convention center as I attended Celebration II. Hasbro’s 3 3/4″ Black Series began in 2013 with what had originally been planned as a wave of Droid Factory figures. 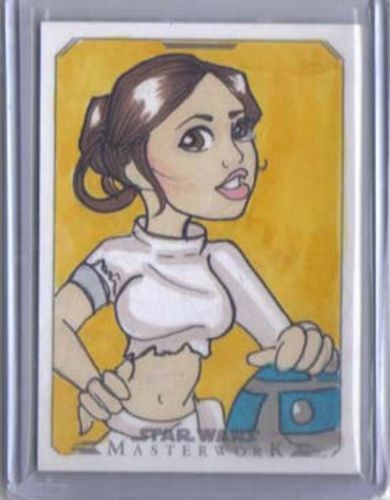 Padmé Amidala kicked off the line as figure #01 and was joined by seven other figures in the first wave. 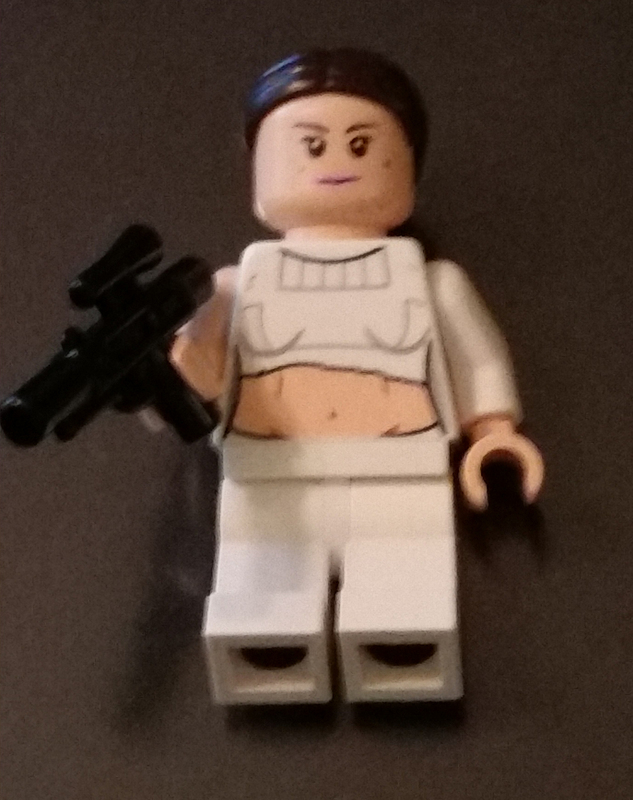 It had been since 2002 that Amidala was produced in a midriff-baring figure in this scale. 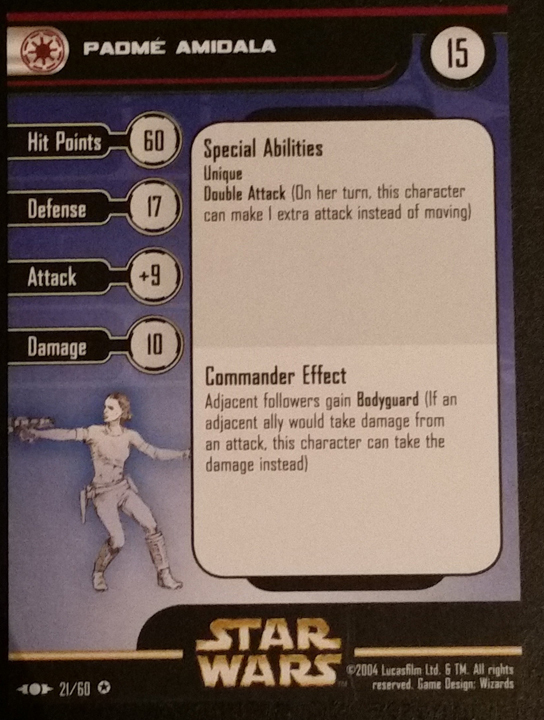 In 2015, the figure saw limited release on a Droid Factory card. I purchased this figure at Toys R Us in Summer 2013. The full Star Wars saga has been given the Little Golden Book treatment. 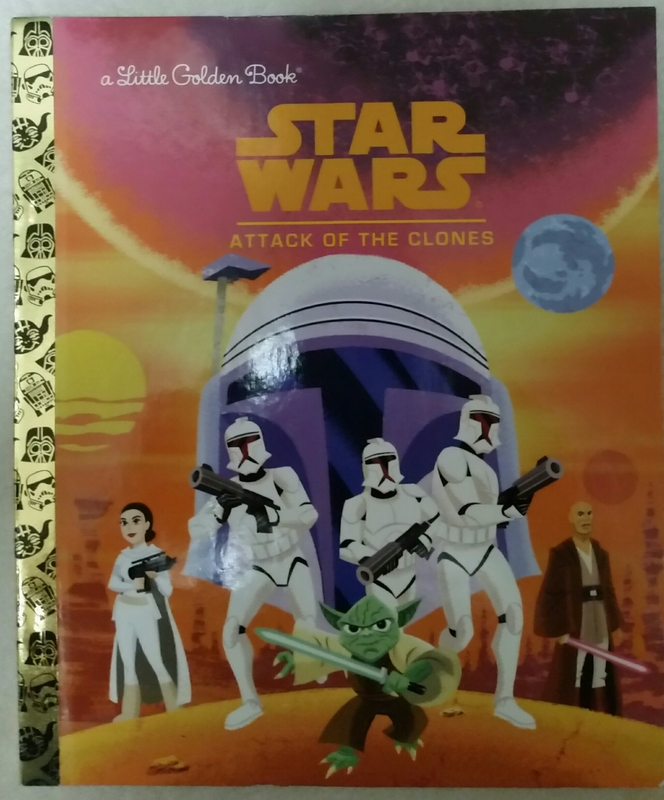 The Attack of the Clones book not only features Senator Padmé Amidala on the cover, but in six of the illustrations inside the book. We start with the assassination attempt on the Coruscant landing platform. Next, we see Anakin Skywalker saving her from two kouhuns. The Senator travels home to Naboo and we see her with Anakin Skywalker in a meadow. We don’t see her on Tatooine, but when the story moves to Geonosis, we see her captured by Jango Fett and then in the Geonosian arena. 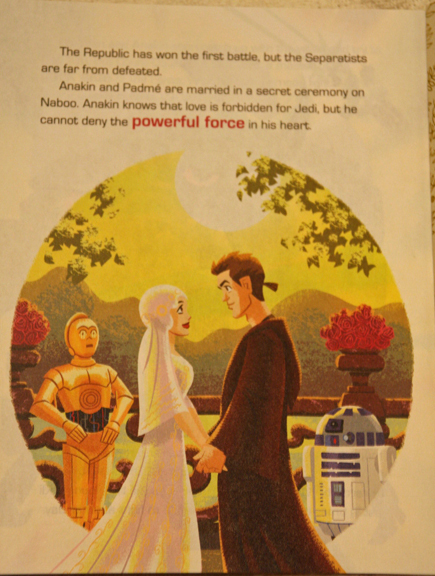 Finally, we see Padmé and Anakin marry on Naboo. I purchased this book July 22, 2015, at Books-a-Million, six days before its official release. This puzzle features three images of Padmé Amidala and two images of Leia Organa. For Padmé, two images from Star Wars: Episode II — Attack of the Clones. Similar to Day 89’s mini-puzzle, her Geonosis arena outfit and Naboo Picnic attire are seen. Her Naboo Celebration outfit from the end of Star Wars: Episode I — The Phantom Menace is the third image. Leia is seen in her two iconic outfits: her white robe from A New Hope and her Jabba’s Prisoner outfit from Return of the Jedi. This is just one of very few items that have featured Padmé and her daughter. My puzzle records are rather non-specific, so I can only guess that this was bought at Walmart. Padmé Amidala and Anakin Skywalker travel to Geonosis to attempt to rescue Obi-Wan Kenobi, but they are also captured and all three are sentenced to death in an arena with deadly beasts. Padmé’s escapes her restraints, but her attire is ripped by a nexu. Her reunion with R2-D2 on Geonosis does not appear in Star Wars: Episode II — Attack of the Clones. 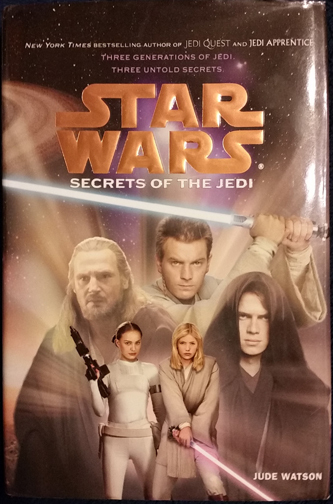 Jude Watson’s Star Wars Secrets of the Jedi tells the story of three generations of Jedi. I haven’t read it, so I can only assume that Padmé Amidala plays a role in Anakin Skywalker’s story. I purchased the book from Rhino Books in August 2012.